Welcome and thank you for your interest in the Hanover Area Chamber of Commerce! 91-100 Employees General Member: Please contact us to determine the fee. 101+ Employees General Member: Please contact us to determine the fee. Access to all Professional-level benefits. Chamber Partner: Please contact us to determine the fee. Access to all Chamber Partner-level benefits. Community Leader: Please contact us to determine the fee. 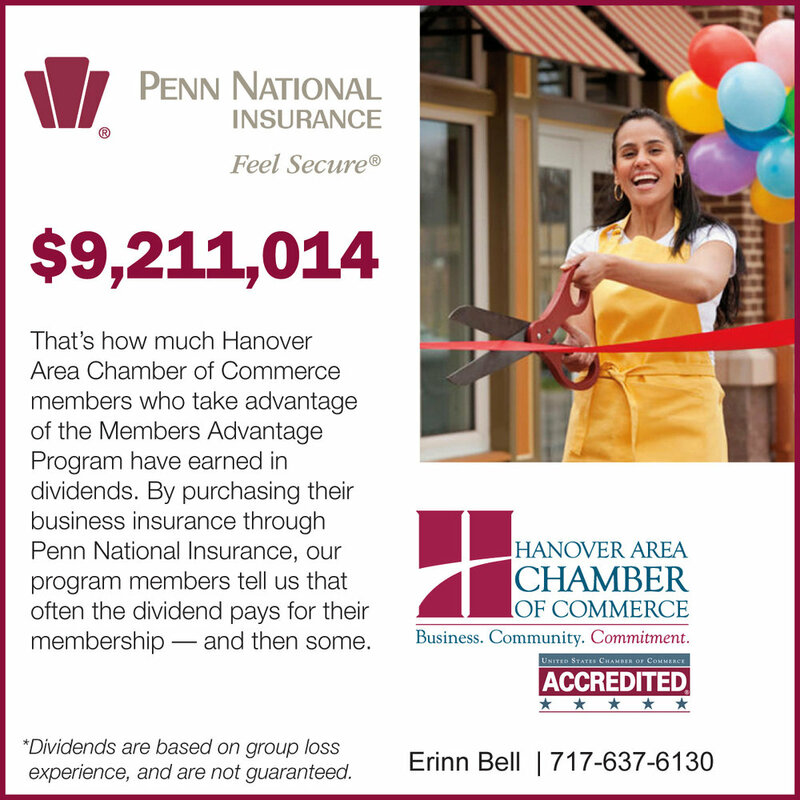 Includes 1 business-card size ad in Chamber newsletter; Enhanced business listing on web; Eye-Opener Breakfast annual subscription; Discover Hanover enhanced listing; Chamber Golf Outing hole sponsorship. A $695 Value!